Oley covers a fairly large area, so one of the other distinctive features is the variety of ways to get around that are used. Small motorcycles, mopeds, and scooters are mixed with large singles and singular oddities. I spied two Honda Trails welded together so that they formed a sort of motorcycle Catamaran. It had been carefully engineered with both clutches operated with the left-most handlebar, and both throttles with the right. Winters are often long and boring in the Northeast. Large men on mini-bikes, and trikes operated by a tiller are also popular. There is more corrosion per square foot at Oley, than in most junk recycle yards, but in many cases it is attached to very valuable remaing metal. You do not want to judge prices here by the condition of the item. There is a dwindling supply of authentic vintage parts and they are highly valued in this marketplace. 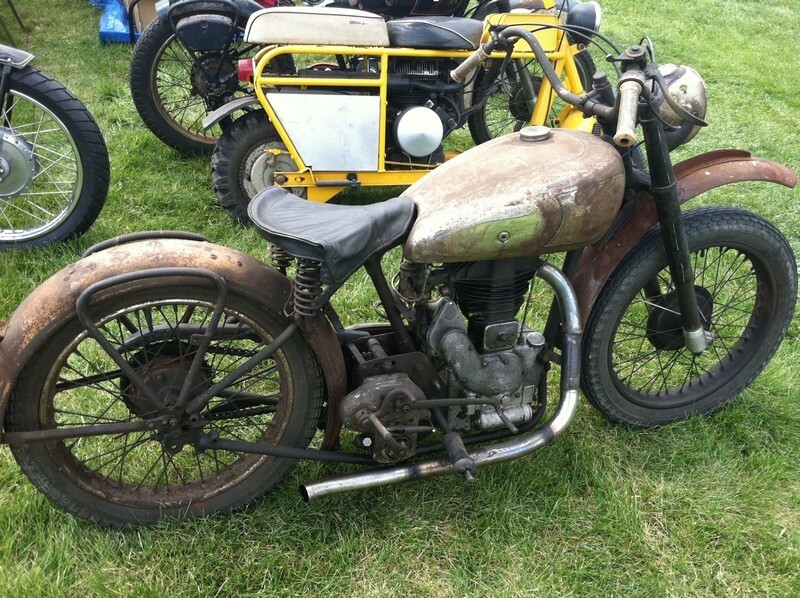 I have purchased entire running motorcycles (maybe even cars) for less than the price of a dented old headlight bucket that I saw. However, there were also good bargains to be had. 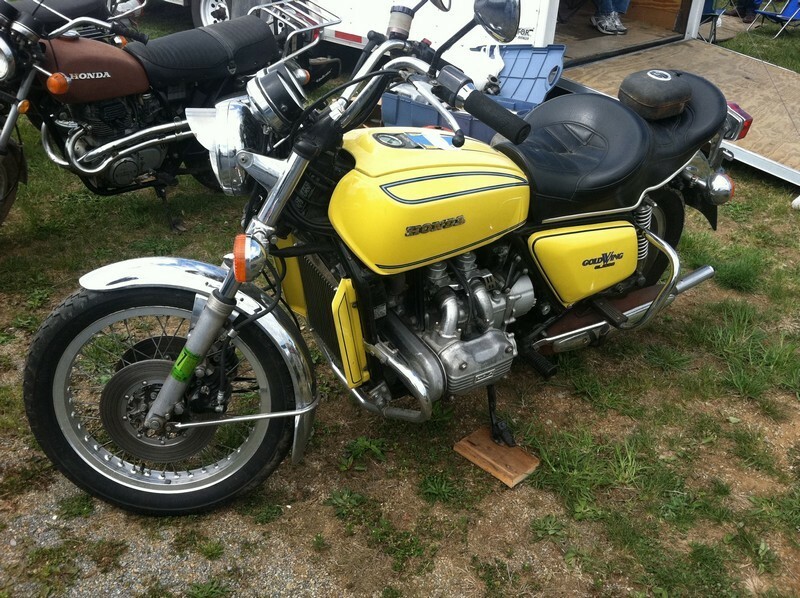 A nice Honda CL175, a BMW R90/6, and more. The ultra-rare, the bargains, the eccentric, the crazy, the cool, the collectible. 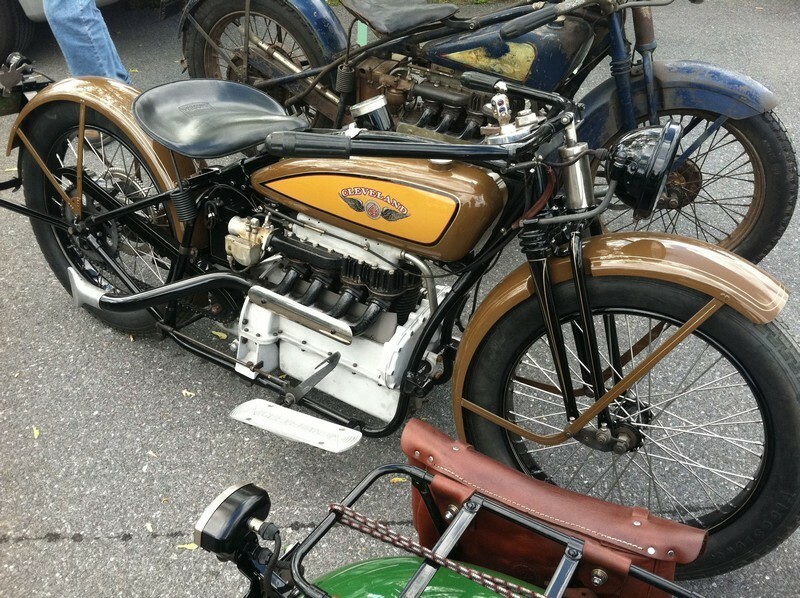 They are all gathered at the AMCA meet in Oley, PA every spring.